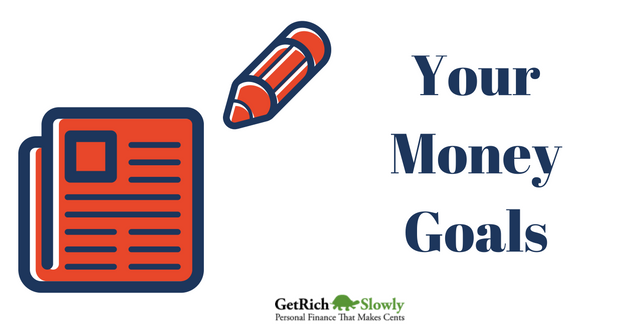 There are 11 reader responses to "Setting Financial Goals". As much as I question the use of labels like this, it changed my way of thinking when a coworker called me out on these types of behaviours. He said a of successful people feel like phoneys or undeserving of their success. I think it’s a balance. You can be grateful for what you have without letting people take advantage of you. You can own factors that contribute to your success (like certain types of privilege) while acknowledging that these advantages would be moot without your talent and handwork. If you’re the type of person who can’t say “thank you” to a compliment then think about your audience. I had an aunt who if you said you liked her outfit would respond something like “this old thing? I only got it out because it’s laundry day.” People stopped complimenting her at all because they felt insulted. Some people try to be humble or self-effacing, but a simple “thank you” is gracious. Some people may criticize me for mincing words, but the language we use shapes people’s perceptions of us and our perceptions of ourselves. Wow, just wow!!! That was an EXCELLENT article and something I struggle with myself. I have an awesome job at an amazing and growing company. They are basically taking over the east coast. I make an honest wage and what I do I feel like is okay (office job), but then I look at everyone else and what they make and it’s nothing. So I’m comparing myself to others based upon hourly rate essentially. But, although I think I make a decent wage, at times I feel like I do deserve more and come performance review time, which is in a few months, I just hope I can finally ask for that raise. They will probably give me a standard 4% raise and that’s great, but am I suffering from this syndrome and saying .70 cents’ish is great? Should I finally ask for $1-2 raise? This is something I can’t wrap my head around – do I not be greedy, be thankful and accept my honest wage or go after it, know I’m valuable and ask for a solid raise? Great article. It touched on everything that I go through daily in my life. I’ve been there — feeling like I should be earning more but afraid of being greedy and not having gratitude. “In these tough economic times” (a phrase that should be banished now, IMHO) shouldn’t I just be happy to have a job? But the employer/employee relationship is a business transaction. It’s not personal. Funny how we have no issues looking for a fair price on something we want to buy, but we’re hesitant to seek a fair price for our time. What I did was build a business case for myself. What value do I bring to the company, and how can I prove it? Also helped to some research on salary ranges for my profession. I convinced myself and then convinced my employer. If you get shot down for the raise, it still gives you an opportunity to discuss what you have to do to earn one and to advance with the company. I definitely wish we would’ve had more confidence to negotiate at interviews. When we did, the requests were easily granted. I only wished we’d asked for more! Very insightful, id like to say that i do not suffer from imposter syndrome but it really shows that people need to stand up for themselves and believe that they are significant and unique! I have never been great at accepting compliments – until I started to think that when you reject the comment and/or you put yourself down to the person giving the compliment, you are actually belittling them also. You are saying that their opinion is incorrect or that they have poor judgement. Whether I agree with the compliment or not now I just say ‘thank you’. I remember sitting in a circle in 1st grade where the teacher was teaching us to read and asking each of us to read out loud from a giant sized book that she held. I remember thinking, these other kids can read but I’m just memorizing words. I hope no one finds out. Imposter syndrome? I never knew there was a name for it! I would add that the best time to negotiate for a raise is not at the actual performance review but 4-6 weeks prior. At our company the amount of the raise is already set in stone by the time the review comes due. Best to sit down with your boss before he/she writes the review to make sure he knows what you’ve accomplished during the review period and how much you’ve contributed. This is so true. I had a doctor tell me the other day, after years of practicing medicine, that he still feels uneasy and like he’s just faking it. He’s a brilliant doctor, but it’s just his mind making him feel like an impostor. He doesn’t feel like he deserves the stuff that comes along with being a professional physician. I never really thought about how this could be applied to someone’s financial goals, but this makes a great deal of sense. I agree with Beth – one needs a balance. Luck does play a large role in careers (much larger than most people will admit) but so do hard work, knowledge and experience. I have felt imposter syndrome at various times in my career and it is important to recognize it and not have too much false modesty. However, we have all met the opposite: the person who exaggerates their accomplishments and hogs the credit when, in fact, their abilities are mediocre. I encountered impostor syndrome in my 20s. When I turned 30, I finally said screw it, I feel like I belong, and it’s time to earn what I deserve. So much is psychological. But I do believe ones 20s is there to learn.